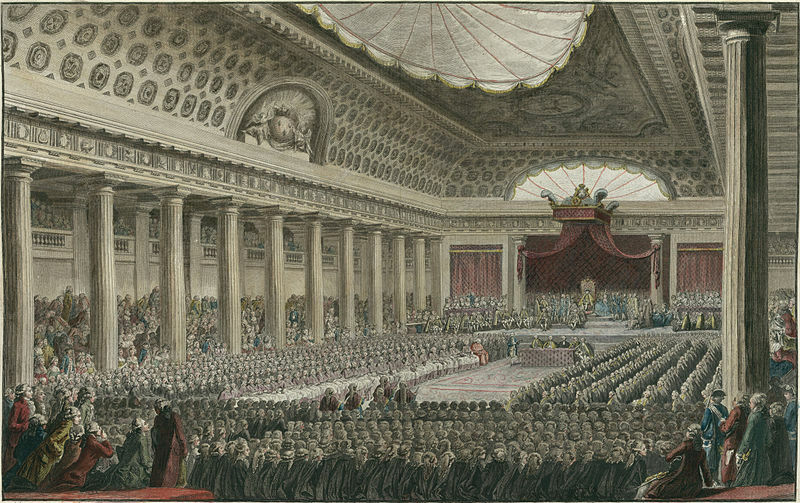 First Order: The first order of the Estate-General of Québec is the elected members. All candidates in the last general election or by-election become members of the first order of the estates. Each member shall have votes in the order equal to their popular vote in the election. The first order may introduce a resolution for a vote before the full Estate-General by a petition of introduction. The votes of the members signing the petition must be equal to 20% of the votes cast in the last general election. In this last Quebec election that would be 883,288 votes. Each member can sign only one petition a year. This gives you the first order of the estates being able to have the Estate-General vote on 4 resolutions. Second Order: The second order of the Estate-General of Québec is the registered members. The registered members are those who voted in the last general election that registered to become a member of the second order after the election. Registration is no more than 90 days after the election and includes a registration fee. No member of the first order can become a member of the second order. The second order may introduce a resolution for a vote before the full Estate-General by a petition of initiation. This petition must be signed by at least 20% of the members of the second order. Each member can sign only one petition a year. The second order can have the Estate-General vote on a maximum of 4 resolutions. Third Order: This is the full Estate-General of Québec. All those who voted in the last general election are members of the third order. Once a year on a set-voting day the Estate-General will vote on those resolution introduced by the first two orders. All resolutions passed by the Estate-General of Québec have the force of law and supersede those passed by the National Assembly. The Estate-General and only the Estate-General can amend the Constitution of the province of Québec. Quorum of the Estate-General is a majority of the eligible voters for the last general election or a 2/3 majority of the votes cast in that election which ever is the lesser. For this last election that would be 2,959,890 votes or 2,944,292. The lesser at 2,944,292, which is a 2/3 majority of the votes cast in the last election would be the Quorum for a vote of the Estate-General of Quebec during this Parliament. Who owns the Government of Quebec, we do, not the Premier, not cabinet, and not the National Assembly. Why because its the voters as the taxpayers who pay all the bills not the Premier, not cabinet, and not the National Assembly.